Researchers at Weill Cornell Medical College have developed technologies that allow investigators, for the first time, to watch what they call the “dance” of HIV proteins on the virus’ surface, which may contribute to how it infects human immune cells. Their discovery is described in the Oct. 8 issue of Science, and is also a part of a study published the same day in Nature. 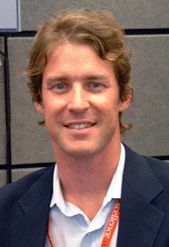 The new technology platform opens new possibilities for devising an approach to prevent HIV infection, says Dr. Scott Blanchard, an associate professor of physiology and biophysics at Weill Cornell, and one of three co-lead authors on the Science study. He is also an author on the Nature paper that describes a three-dimensional structure of one of the shapes of the HIV protein. “Making the movements of HIV visible so that we can follow, in real time, how surface proteins on the virus behave will hopefully tell us what we need to know to prevent fusion with human cells — if you can prevent viral entry of HIV into immune cells, you have won,” says Dr. Blanchard, who is also associate director of Weill Cornell’s chemical biology program. “What we have shown in the Science study is that we now have the means to obtain real-time images of processes happening on the surface of intact HIV particles, which we now plan to use to screen the impact of drugs and antibodies that can shut it down,” he says. “We desperately need solutions to prevent HIV infection, which, to date, has infected or killed more than 70 million people worldwide,” Dr. Blanchard says. If this technology proves useful in HIV management, it could potentially be used to decode infection processes for other viruses, he says. In the Science study, Dr. Blanchard worked with Dr. Walther Mothes, a HIV specialist at the Yale University School of Medicine, and with Dr. James Munro, who was Dr. Blanchard’s first graduate student and who is now an assistant professor at Tufts University School of Medicine. Drs. Mothes and Munro are the two other co-lead investigators. Dr. Blanchard adapted an imaging technique that uses fluorescence to measure distance on molecular scale – single-molecule fluorescence resonance energy transfer (smFRET) imaging – to study viral particles. His group developed fluorescent molecules (fluorophores) — which he dubs “beacons” — and the team inserted them into the virus’s outer covering, known as the envelope. With two of these special beacons in place, smFRET imaging can be used to visualize how the molecules move over time, when the virus proteins change conformation, or shape. The approach provides a measure of distances, on the order of a billionth of an inch, between two beacons glowing in different colors, and this can be used to detect shape shifting as it occurs and the attached beacons move. The team used the technology to study motions of proteins on the surface of the HIV virus (called envelope proteins) that are key to the virus’s ability to infect human immune cells carrying CD4 receptor proteins. (CD4 receptor proteins help HIV bind to a cell.) The envelope consists of three gp120 and gp41 proteins positioned close together, and referred to as “trimers,” that open up like a flower in the presence of CD4, exposing the gp41 subunit that is essential for subsequent aspects of the mechanism that causes infection. “There are 10-20 such envelope trimers on the surface of each HIV particle, and they mutate rapidly, thereby evading typical immune responses. This is why it is so difficult for humans to mount an effective immune response and why it is challenging for researchers to develop vaccines targeting the HIV envelope proteins,” Dr. Blanchard says. The researchers were able to study proteins from two different strains of HIV, which contained beacons that did not alter the biology of the particles. The researchers were then able to watch how the viruses responded when synthetic CD4 was introduced. They also saw that antibodies known to exhibit some effectiveness acted to prevent gp120 from opening, and that these effects correlated with a decrease in the virus’ ability to infect cells. Similar things happened when they introduced a small molecule now under development to prevent HIV infection. “The practical outcome from this technology is that we can begin to understand how the biological system moves. So far we have detected three different conformations of the envelope trimer. We are working now to improve the technology to achieve the imaging precision we need to make broadly effective therapies,” Blanchard says. The Nature study, led by researchers at the National Institute of Allergy and Infectious Diseases, used X-ray crystallography to capture a three-dimensional structure of one of the conformations revealed in the Science paper. The protein constructs used in this investigation were originally developed by a team of researchers headed by Dr. John Moore, professor of microbiology and immunology at Weill Cornell. “The antibodies used in the crystallography study are ones that we observed to stop the dance of the HIV envelope proteins, pushing the trimer assembly into a quiescent, ground state,” Dr. Blanchard says. “This concrete, atomic resolution picture of what the pre-fusion machinery looks like and where these antibodies bind provides an important step forward to understanding HIV’s biology,” he says. Dr. Blanchard believes both techniques — smFRET and X-ray crystallography — can work hand in hand to help scientists describe the functions of molecules from the perspective motion, including the other two distinct conformations identified in the smFRET study. This work was supported by NIH grants R21 AI100696, P01 56550, and R01 GM098859, by the Irvington Fellows Program of the Cancer Research Institute, a fellowship from the China Scholarship Council-Yale World Scholars, grants from the International AIDS Vaccine Initiative’s (IAVI) Neutralizing Antibody Consortium, the NIH Intramural Research Program (Vaccine Research Center), the Bill & Melinda Gates Foundation and the United States Agency for International Development (USAID). Support for the Nature study was provided by the Intramural Research Program of the Vaccine Research Center, National Institute of Allergy and Infectious Diseases (NIAID) at the National Institutes of Health, and by grants from the Division of AIDS, NIAID, National Institutes of Health for CHAVI and CHAVI-Immunogen Discovery Centers, from the National Institutes of General Medical Sciences, from the Irvington Fellows Program of the Cancer Research Program, and from the International AIDS Vaccine Initiative’s Neutralizing Antibody Consortium. Use of sector 22 (Southeast Region Collaborative Access team) at the Advanced Photon Source was supported by the US Department of Energy, Basic Energy Sciences, Office of Science, under contract number W-31-109-Eng-38. Contributing to the Science study were Xiaochu Ma (Yale University School of Medicine), Jason Gorman, Peter D. Kwong and James Arthos (National Institute of Allergy and Infectious Diseases), Zhou Zhou (Weill Cornell Medical College), Dennis R. Burton (The Scripps Research Institute), Wayne C. Koff (International AIDS Vaccine Initiative), Joel R. Courter and Amos B. Smith III (the University of Pennsylvania). 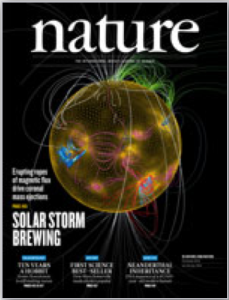 Co-authors of the Nature study are Peter D. Kwong, Marie Pancera, Tongqing Zhou, Aliaksandr Druz, Ivelin S. Georgiev, Cinque Soto, Jason Gorman, Priyamvada Acharya, Gwo-Yu Chuang, Gilad Ofek, Guillaume B. E. Stewart-Jones, Jonathan Stuckey, Robert T. Bailer, M. Gordon Joyce, Mark K. Louder, Yongping Yang, Baoshan Zhang, and John R. Mascola (National Institute of Allergy and Infectious Diseases), Jinghe Huang, Mark Connors, Nancy Tumba and Lynn Morris (National Institute of Allergy and Infectious Diseases), Myron S. Cohen (National Institute for Communicable Diseases of the National Health Laboratory Service, South Africa), Barton F. Haynes (Duke University), James B. Munro and Walther Mothes (Yale University School of Medicine).